Have you heard of mindful snacking? This approach encourages paying attention to eating and being present in the moment. Mindful eating research has been more and more active in the past 20 years. Studies have shown, for instance, that it can increase the enjoyment derived from food. Mindful eating is an easy and versatile approach. It can be applied any time of the day, including during snacking occasions. Simple, practical tips can help snacking mindfully. It's about listening to hunger and satiety cues, paying attention to taste, and fully enjoying food. In 1990, Dr. Jon Kabat-Zinn, a Professor at the University of Massachusetts Medical School, defined mindfulness as 'paying attention to the present moment on purpose while being non-judgmental on thoughts and feelings.' (1) Today, there is convincing evidence that mindfulness interventions can reduce anxiety, stress, or depression and improve attention and affective outcomes (2). In the late 1990's, a pioneering clinical trial found that binge eating disorders decreased following a mindfulness intervention applied to the context of eating (3). The positive impact of mindfulness-based interventions on eating disorders has since been confirmed in more recent studies (4, 5, 6, 7). Mindful eating - the application of mindfulness principles to eating - has been investigated in both at-risk populations such as overweight or obese subjects and healthy populations to assess its effect on health and well-being. Research has shown, for instance, that eating mindfully can result in deriving more pleasure from food and being satisfied with smaller amounts of food (8, 9, 10, 11). Today, snacking has become a widespread eating habit around the world, as most adults have one to two snacks every day (12). Snacking in a fast-paced society can be easily affected by environmental and emotional cues. Mindful eating principles might help people focus not only on what snacks to choose but also on why and how they snack, so they can be more in tune with eating as a conscious behavior. At Mondelēz International, we aim to inspire people to snack mindfully. Snacking mindfully can be taught in easy and practical steps. 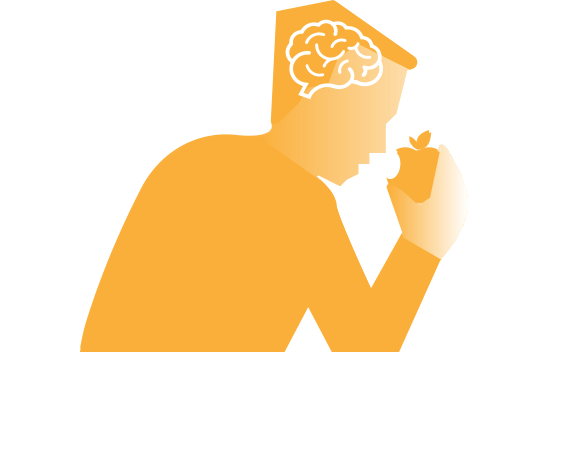 Several mindful eating protocols have been developed by clinical researchers, including the following three components that are key to snacking mindfully. Snacking is not always triggered by hunger, and can be driven by emotions or the environment (13). 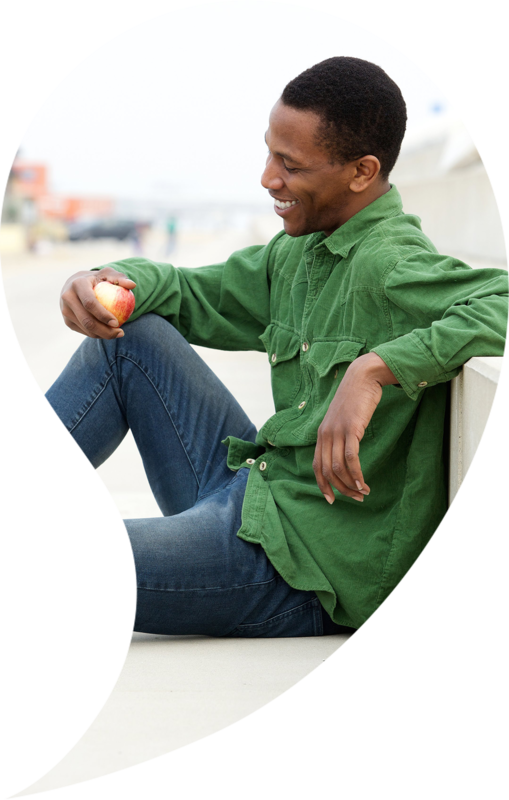 Mindful snacking focuses on reconnecting with the body's internal cues and being aware of external factors so you can respond consciously to these signals. Scientific evidence has shown that checking for feelings of hunger and satiety can help control snacking episodes (14, 15, 16). Being distracted by technological devices or other activities while eating has been repeatedly shown to induce higher food intake (17, 18). This is why being aware of the present moment and avoiding multitasking are key principles for mindful snacking. Studies have demonstrated that paying greater attention to eating can lead to decreased food consumption - immediately and at the next meal or snacking occasion (19, 20). Savoring is another critical principle of snacking mindfully. Focusing on how food looks, sounds, smells, and tastes and on the feelings it produces may increase eating enjoyment (9, 21). Research has shown that this enhanced enjoyment can result in being satisfied with smaller amounts of food (11, 22). Snacking is part of everyday life. Currently, while there are recommendations about what foods and beverages should be consumed, little guidance is given on why and how to eat and drink. 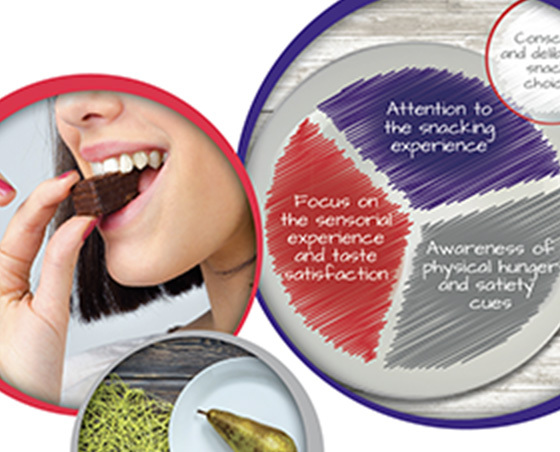 One approach to help your clients get the most out of the snacking experience is called mindful snacking. 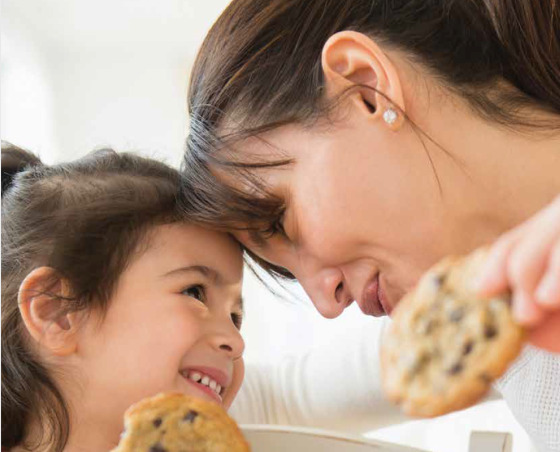 Snacking mindfully can be taught in easy and practical steps. 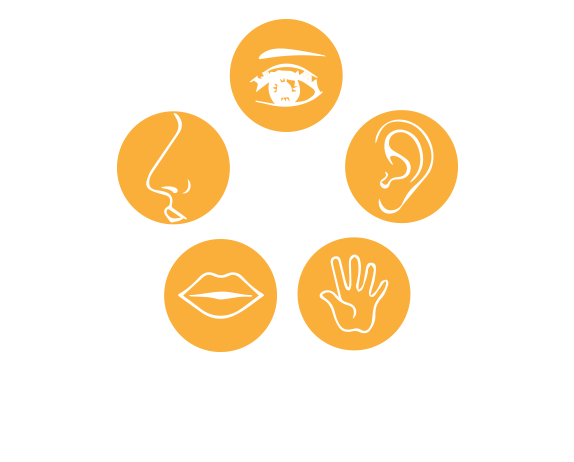 Listed below are several resources for learning more about mindful snacking, including videos of discussions with experts and recent peer-reviewed publications supporting the application of this approach. You can also find resources to help guide and inspire your clients on how to snack mindfully, using simple tips and tools. 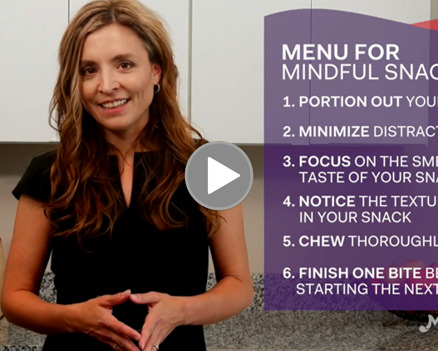 Watch a video by Dr. Susan Albers, Psy.D., clinical psychologist and mindful eating expert, sharing six simple tips that can help your clients make their snacking occasions more mindful – and more satisfying. Pick two or three techniques that appeal to your clients out of her “Menu for Mindful Snacking” to apply them. 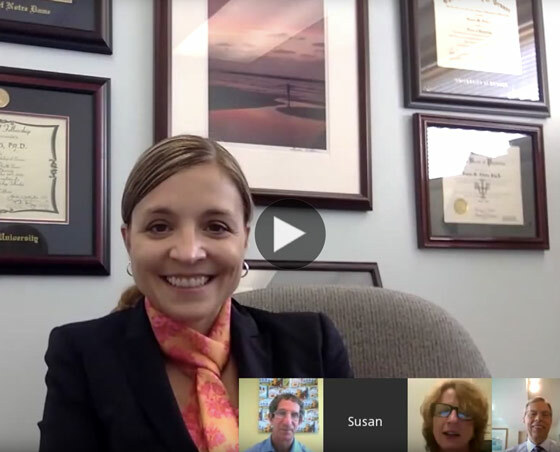 Watch a video by Dr. Susan Albers, Psy.D., clinical psychologist and mindful eating expert, sharing the basic principles of mindful snacking that can help your clients shifting their focus from what they eat to concentrating more on why and how they’re eating, so they can get more satisfaction from their snacking occasions. Discover tips and tools that you can use in your practice, and a snapshot of clinical research into mindful eating. 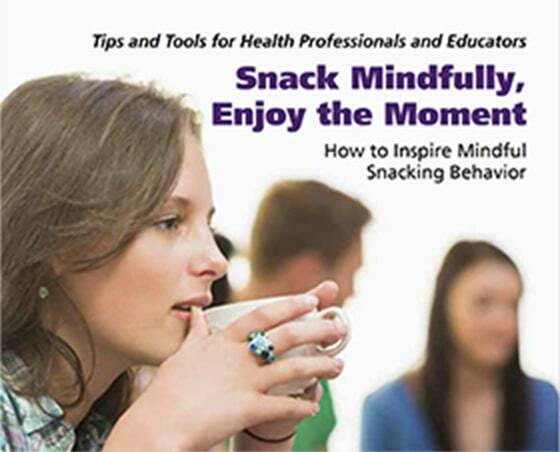 This guide, created by Dr. Susan Albers, Psy.D., clinical psychologist and mindful eating expert, outlines a simple approach that can help you counsel your clients on how to snack mindfully. Get started with practical tools developed by mindful eating experts for health professionals and their clients. This guide created by Dr. Susan Albers, Psy.D., clinical psychologist and mindful eating expert, lists materials that can be shared with your clients, such as mindful eating courses and trackers. 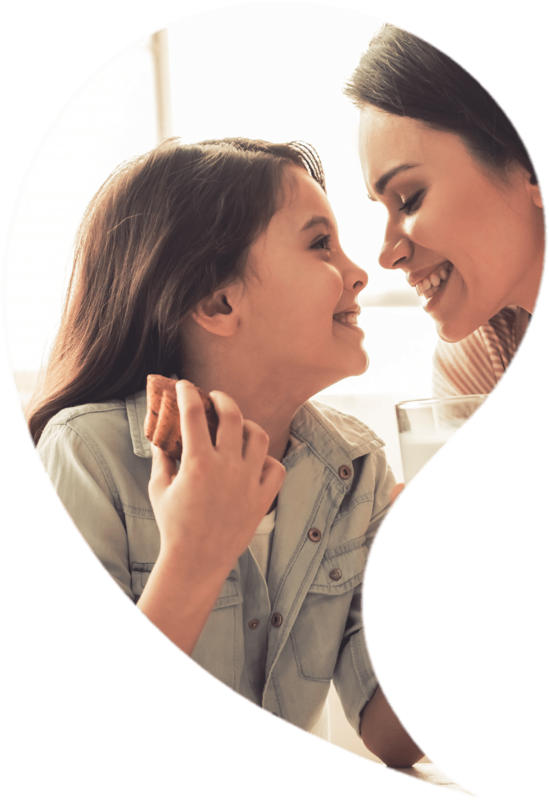 Discover mindful snacking tips created by Dr. Susan Albers, Psy.D., clinical psychologist and mindful eating expert, that can be shared with your clients to help them focus on how and why they snack. Find the latest research advances on mindfulness, mindful eating, and snacking in this extensive summary intended for nutrition science experts. Read this recent review that summarizes the existing evidence showing that mindfulness, mindful eating, and intuitive eating could be effective approaches for modulating eating habits. Watch experts discuss how snacking and well-being can co-exist, and how to help consumers snack mindfully. Participants include Dr. Jean Kristeller, PhD, co-founder of the Centre for Mindful Eating and Michelle May, M.D., mindful eating expert and founder of 'Am I Hungry?'. 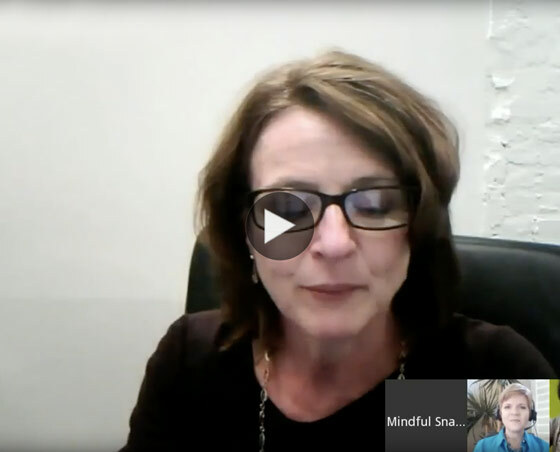 Listen this virtual panel hosted by Mondelēz International discussing how companies can use education and innovation to help people make more mindful choices. Participants include Dr. Susan Albers, Psy.D., clinical psychologist, and Hank Cardello, Senior Fellow at the Hudson Institute. At Mondelēz International, our goal is to be a global leader in well-being snacks. 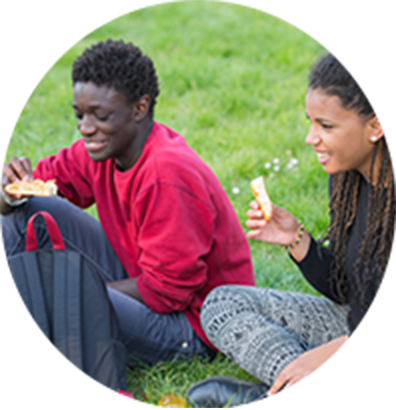 We're guided by our purpose of empowering people to enjoy life and snack in balance and take seriously the nutrition responsibility that comes with being the world's largest snack company. 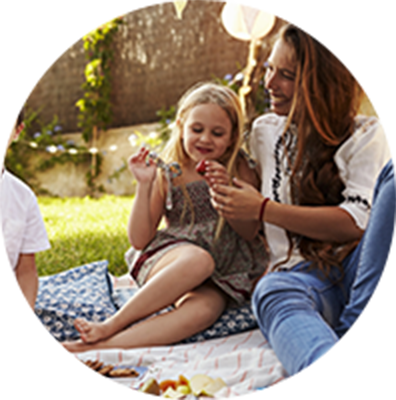 To inspire our consumers to snack mindfully, we have partnered with Dr. Susan Albers, Psy.D., clinical psychologist and mindful eating expert to provide tips and resources on how to snack mindfully. Mindful snacking is an approach that encourages eating with attention and being present in the moment. It's about shifting snacking habits, from not just what but also why and how to eat. (1) Kabat-Zinn J. Full Catastropher Living: Using the Wisdom of Your Body and Mind to Face Stress, Pain and Illness. 1990. Delacorte, NY. (2) Khoury B et al. 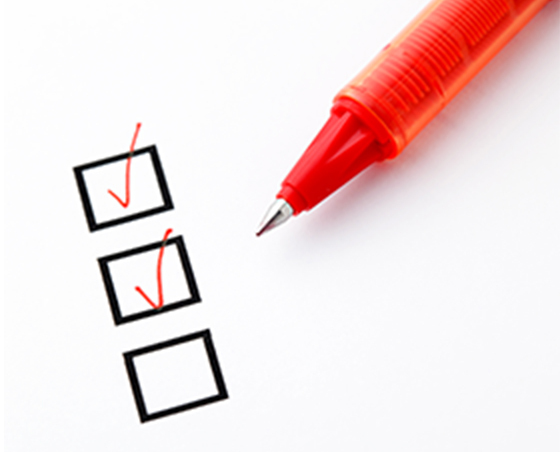 Mindfulness-Based Therapy: a comprehensive meta-analysis. Clin Psychol Rev. 2013; 33(6):763-771. (3) Kristeller JL & Hallett CB. An Exploratory Study of a Meditation-based Intervention for Binge Eating Disorder. J Health Psychol. 1999; 4(3):357-363. (4) Katterman SN et al. Mindfulness meditation as an intervention for binge eating, emotional eating, and weight loss: a systematic review. Eat Behav. 2014; 15(2):197-204. (5) O'Reilly GA et al. 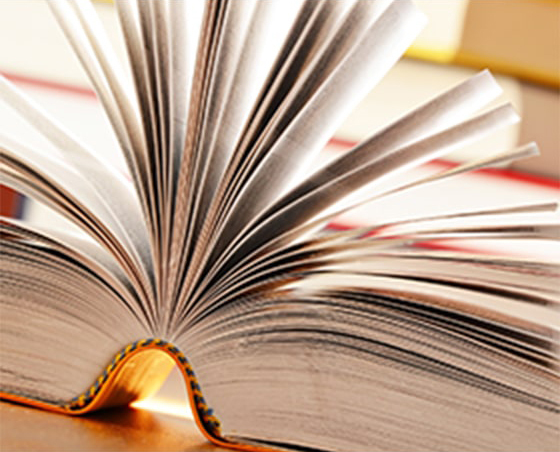 Mindfulness-based interventions for obesity-related eating behaviours: a literature review. Obes Rev. 2014; 15(6):453-461. (6) Godfrey KM et al. Mindfulness-based interventions for binge eating: a systematic review and meta-analysis. J Behav Med. 2015; 38(2):348-362. (7) Ruffault A et al. The effects of mindfulness training on weight-loss and health-related behaviours in adults with overweight and obesity: A systematic review and meta-analysis. Obes Res Clin Pract. 2017; 11(5S1):90-111. (8) Gravel K et al. Effect of sensory-based intervention on the increased use of food-related descriptive terms among restrained eaters. Food Quality and Preference. 2014; 32:271-276. (9) Arch JJ et al. Enjoying food without caloric cost: The impact of brief mindfulness on laboratory eating outcomes. Behav Res Ther. 2016; 79:23-34. (10) Hong PY et al. Mindfulness and Eating: An Experiment Examining the Effect of Mindful Raisin Eating on the Enjoyment of Sampled Food. Mindfulness. 2014; 5(1):80-87. (11) Cornil Y & Chandon P. Pleasure as a substitute for size: how multisensory imagery can make people happier with smaller food portions. J Marketing Research. 2015; 53(5):847-864. (12) Bellisle F. Meals and snacking, diet quality and energy balance. Physiol Behav. 2014; 134:38-43. (13) Hess JM et al. What Is a Snack, Why Do We Snack, and How Can We Choose Better Snacks? A Review of the Definitions of Snacking, Motivations to Snack, Contributions to Dietary Intake, and Recommendations for Improvement. Adv Nutr. 2016; 7(3):466-475. (14) Forman EM et al. Mindful decision making and inhibitory control training as complementary means to decrease snack consumption. Appetite. 2016; 103:176-183. (15) Camilleri GM et al. Intuitive Eating Dimensions Were Differently Associated with Food Intake in the General Population-Based NutriNet-Sante Study. J Nutr. 2017; 147(1):61-69. (16) Beshara M et al. Does mindfulness matter? Everyday mindfulness, mindful eating and self-reported serving size of energy dense foods among a sample of South Australian adults. Appetite. 2013; 67:25-29. (17) Bellisle F et al. Non-food related environmental stimuli induce increased meal intake in healthy women: comparison of television viewing versus listening to a recorded story in laboratory settings. Appetite. 2004; 43(2):175-180. (18) Robinson E et al. Eating attentively: a systematic review and meta-analysis of the effect of food intake memory and awareness on eating. Am J Clin Nutr. 2013; 97(4):728-742. (19) Higgs S & Donohoe JE. Focusing on food during lunch enhances lunch memory and decreases later snack intake. Appetite. 2011; 57(1):202-206. (20) Robinson E et al. Eating 'attentively' reduces later energy consumption in overweight and obese females. Br J Nutr. 2014; 112(4):657-661. (21) Meier BP et al. The sweet life: The effect of mindful chocolate consumption on mood. Appetite. 2017; 108:21-27. (22) Cornil Y & Chandon P. Pleasure as an ally of healthy eating? Contrasting visceral and Epicurean eating pleasure and their association with portion size preferences and wellbeing. Appetite. 2016; 104:52-59. This website is sponsored by Mondelēz International and is reserved to health professionals. 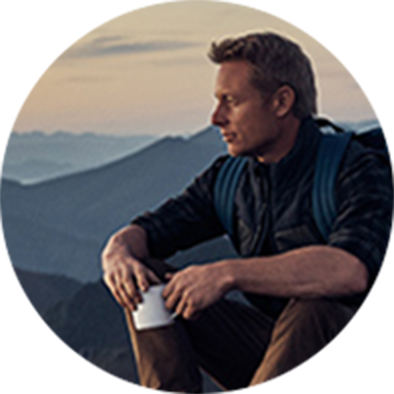 For more information about our company and our approach to well-being, please visit the Well-being Snacks section of our company website.